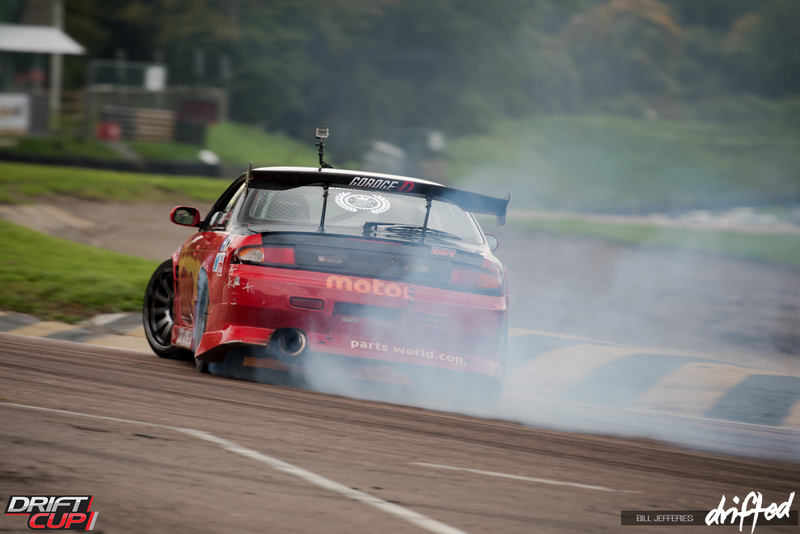 With the British Drift Championship now being split into two groups, Pro and Pro-Am. 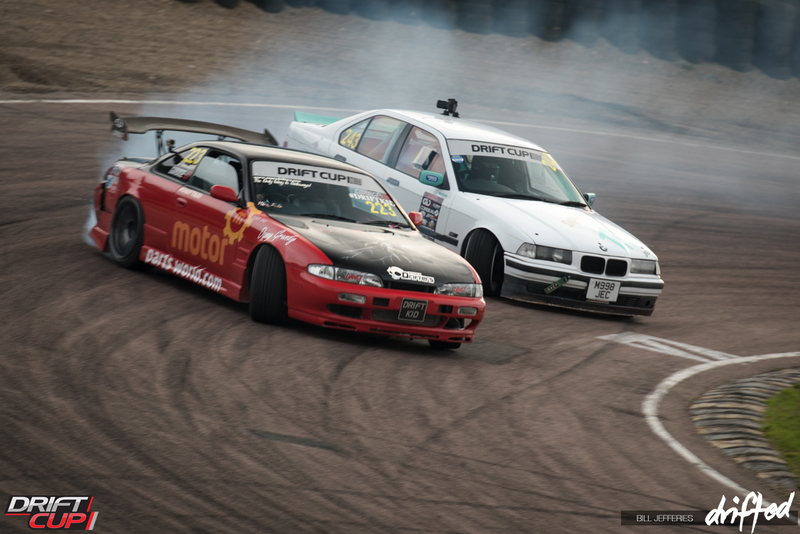 Driftcup has become the series to replace the former Semi-Pro class, and replace BDC licensing days. The idea is to present an opportunity for newcomers to hone their skills. Earlier this year I took a trip to Round One, which pleasantly surprised me – it was immediately clear that this competition had a lot of potential to offer. You’d be forgiven for assuming that the level of driving is at the lowest standard, but I can assure you that’s simply not the case. 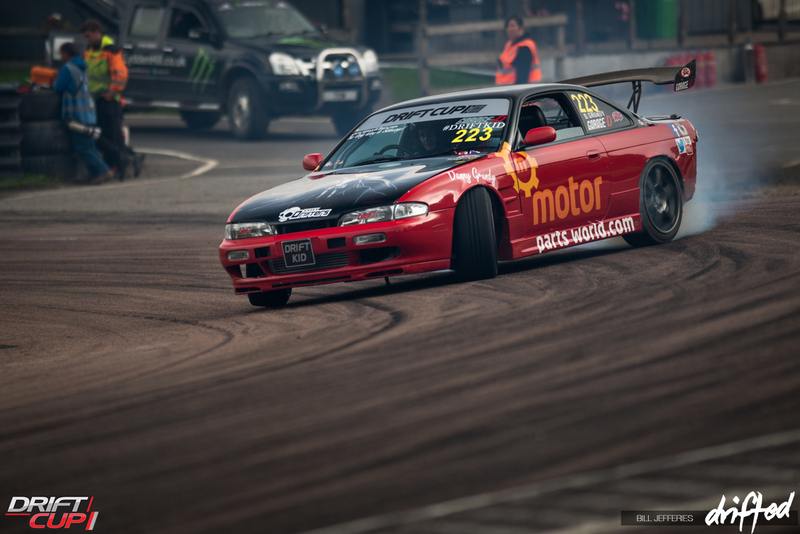 There are various reasons why people would compete in such a competition – for some it’s an opportunity to break away from the practice days and try their hand at competing, for others it’s a chance to test out their newly purchased ex-comp cars. 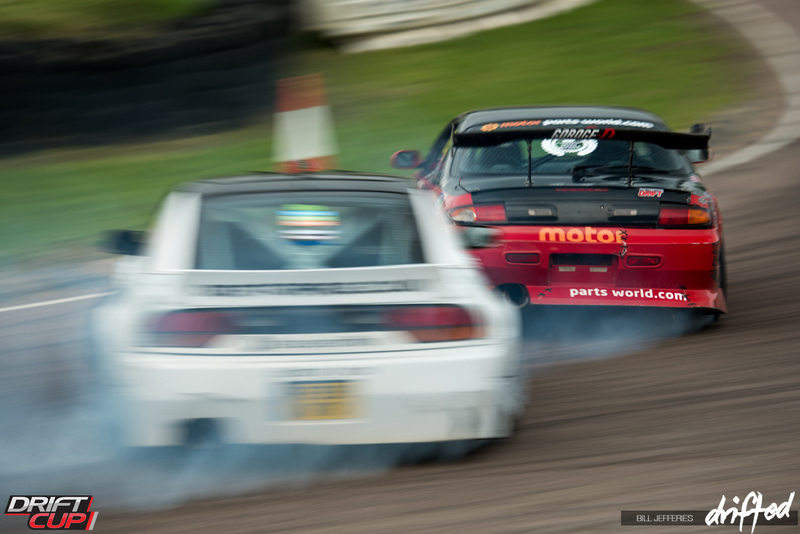 Despite some of the cars competing being in near-standard form, there was also cars at the other end of the spectrum. 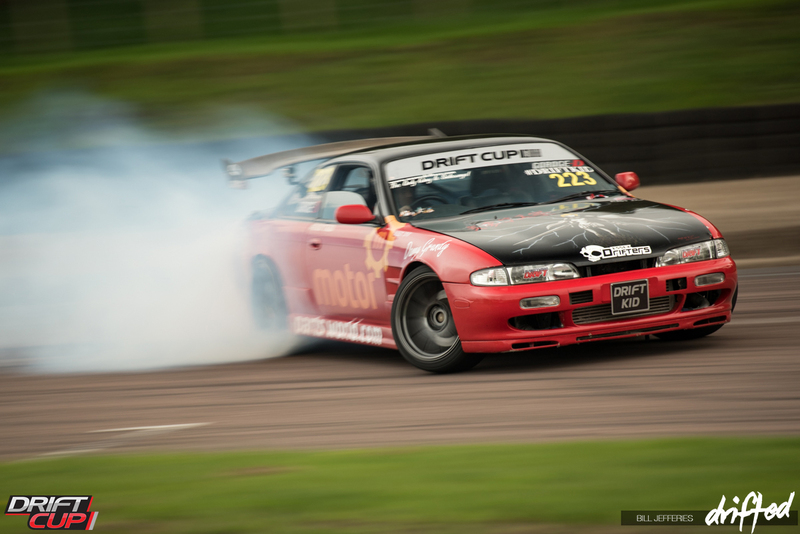 I had seen BDC driver Ariel Jaskiewicz trying to part with his Soarer for some time, it was great to see the new buyer had taken it straight out into a competition. 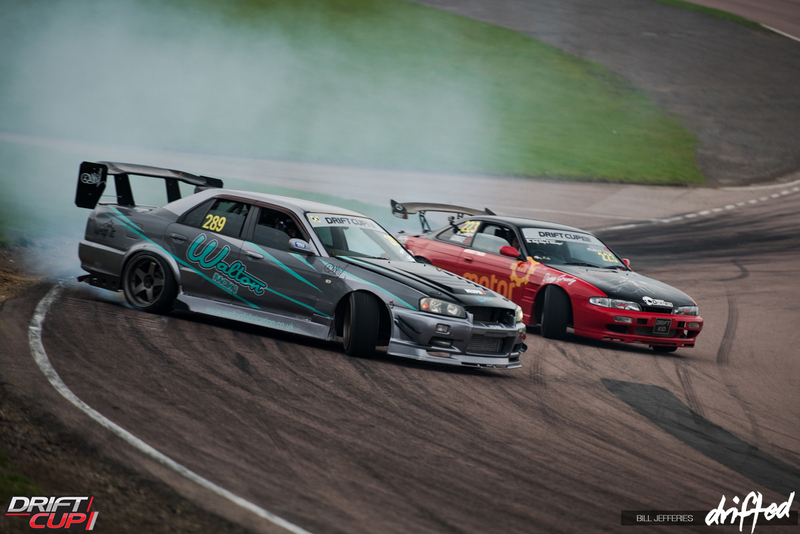 At each event throughout the season the Top 3 Driftcup drivers are given the opportunity to potentially gain a BDC Pro-Am license at the next BDC round, so long as they qualify within the Pro-Am Top 32. On top of that, the Top 5 drivers in the final season rankings would be granted an instant full Pro-Am license for the 2016 season without needing to go through the qualification process. 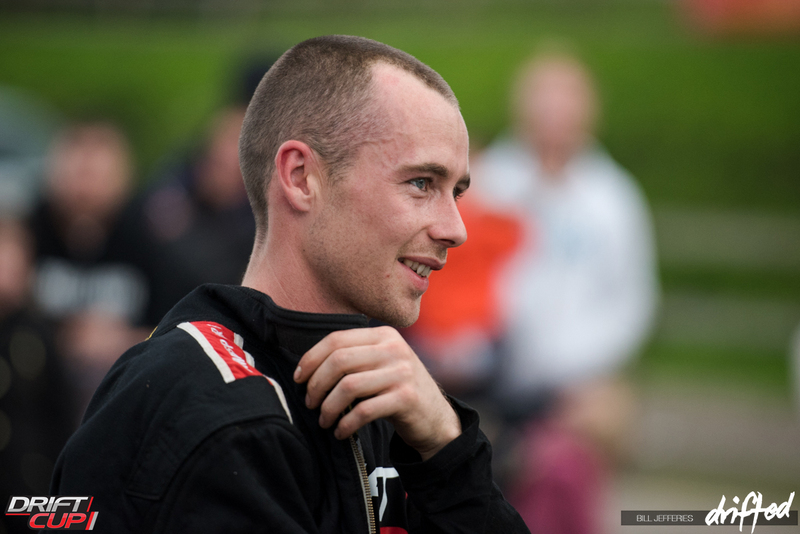 For some drivers, like Danny Grundy, it was a chance to climb the ladder in an attempt to eventually gain a BDC Pro license. 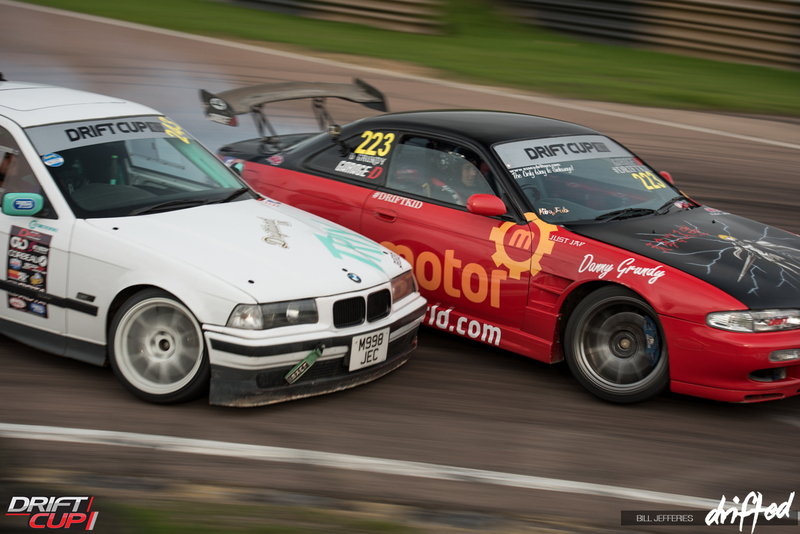 When I first met Danny, he was driving his BMW ‘missile’ at the monthly King of the Ring events at Arena Essex. It was immediately clear that Danny was a fan favourite and after witnessing him knock on doors throughout the entire evening, it was immediately clear why! 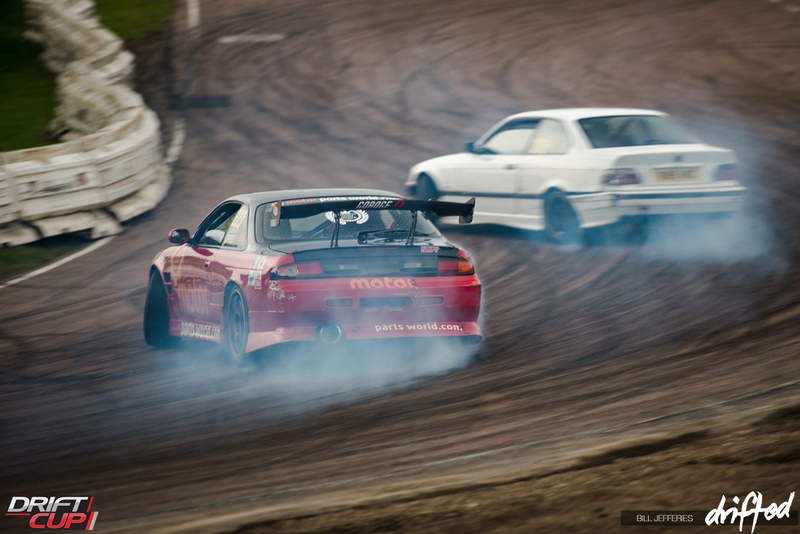 During the first Driftcup round at Norfolk Arena this year, I was surprised to see him turn up in his newly built S14 which I wasn’t even aware that he’d been building. Frustratingly, as with most new car builds he’d run into numerous issues – round one wasn’t to be for him after he failed to qualify, but this was just the beginning. As Danny got to grips with the car and got the setup to suit his style a little more with the help of Garage D, he decided to take a jump in at the deep end. 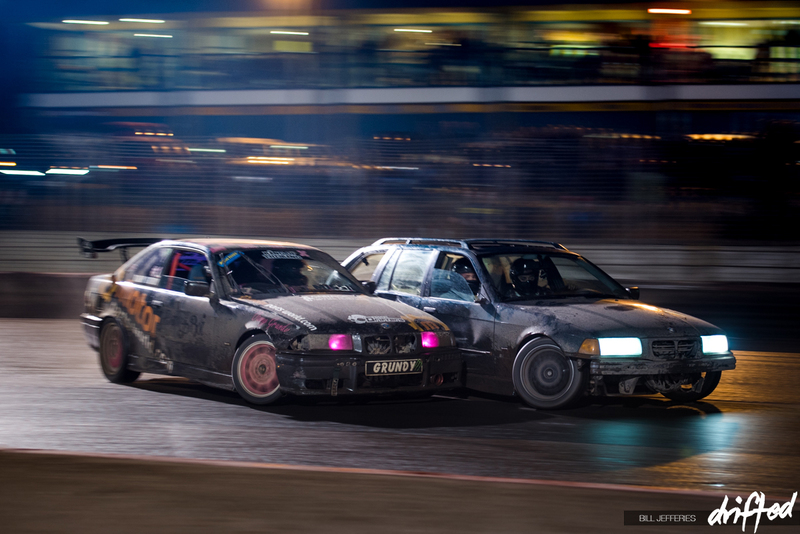 I luckily had a free weekend when Drift Allstars were hosting their UK round at Arena Essex. 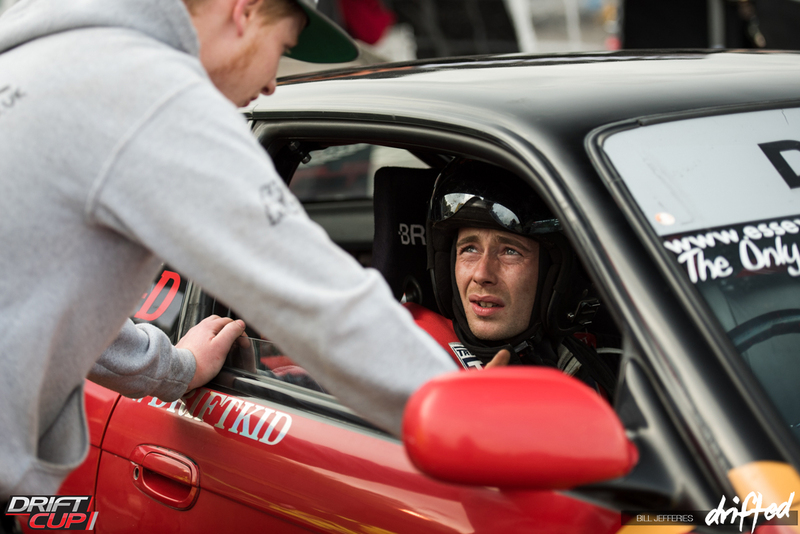 This was Danny’s home turf and despite not being in the car or the wet track he’s used to at King of the Ring, he was eager to try and upset some of Europe’s best drivers. 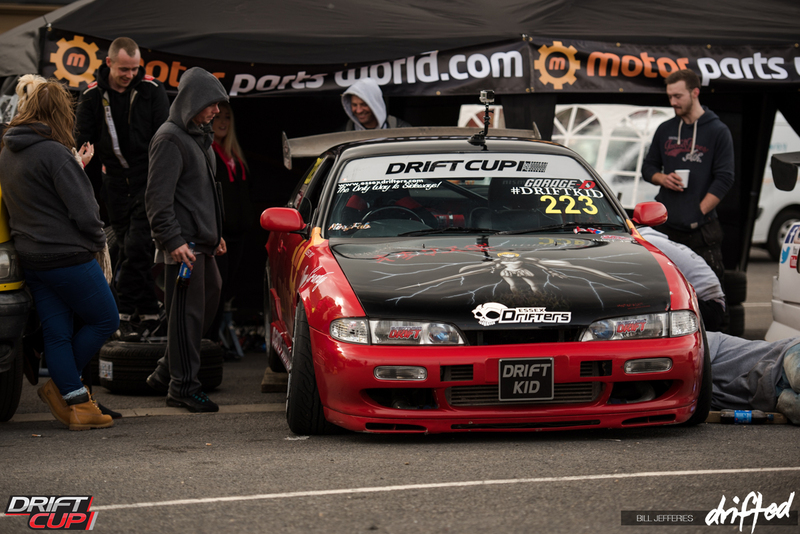 After getting a pass in the Top 16 against fellow Driftcup driver Sultan Al-Qassimi, he would then be faced against the eventual winner of the 2015 series, James Deane, in the Top 8. 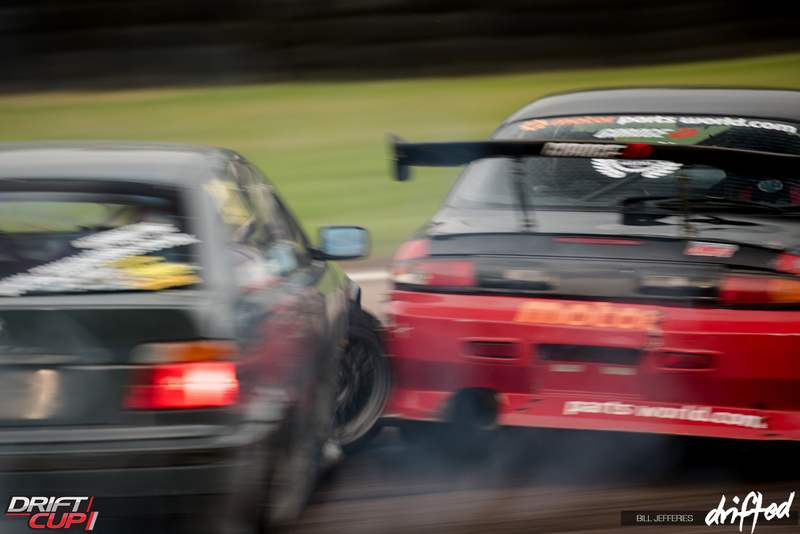 Despite the insane power difference and James being arguably the best driver in Europe, Danny put up a great fight which was undoubtedly the most incredible moment of his drifting career to date. 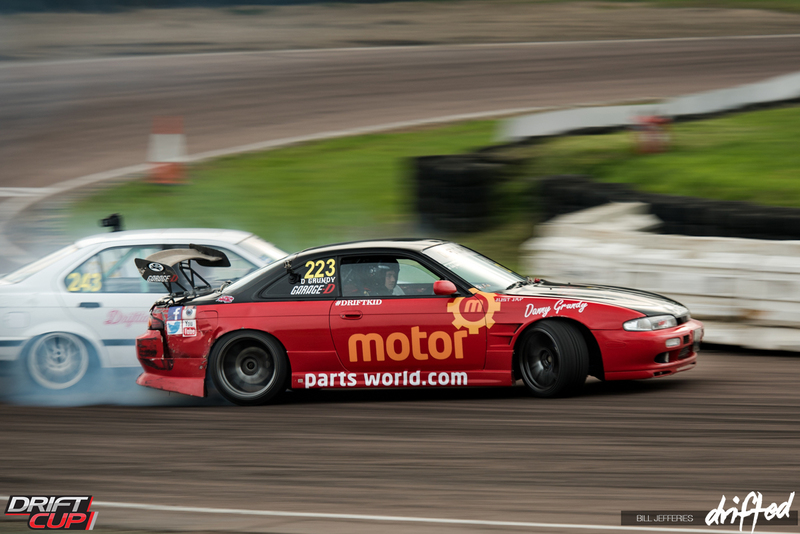 After numerous calendar clashes with my schedule and Driftcup, I got to catch up with Danny at the final Driftcup round of the season at Lydden Hill. 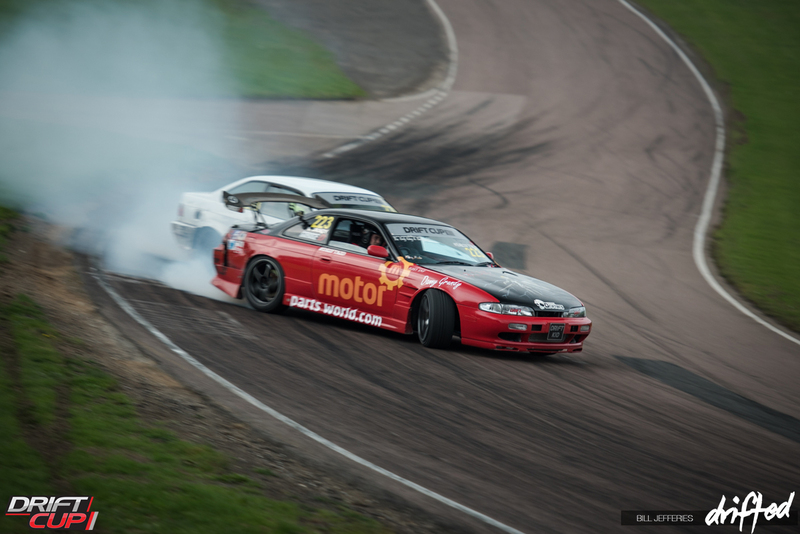 At this point, he was in 7th place in the championship standings and he had his eye firmly focused on finishing 5th or above in order to gain access to the BDC Pro-Am license which he’d been desperately working towards throughout the season. 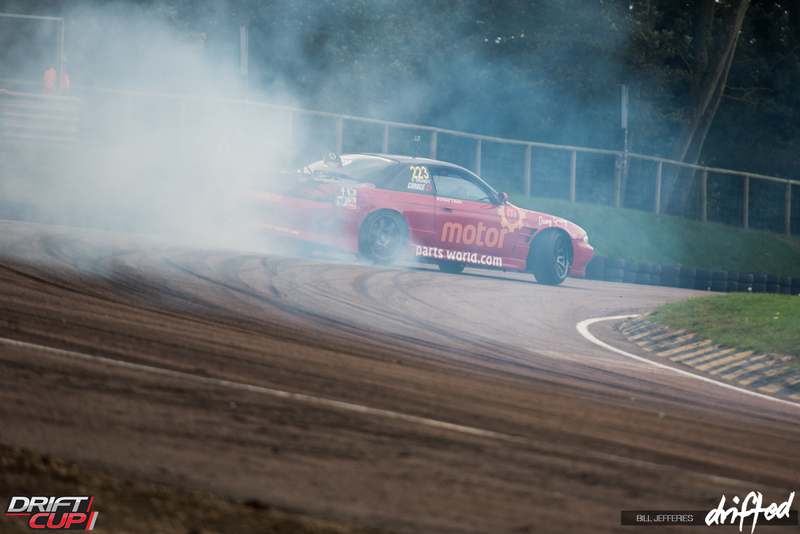 With practice underway, he was looking comfortable with the setup of the car and getting as much seat time as he could despite falling foul of Lydden’s strict noise restriction levels. This also meant that a lot of other drivers were also being pulled into the pits to quieten their cars, which was a shame given the amount of potential seat time. 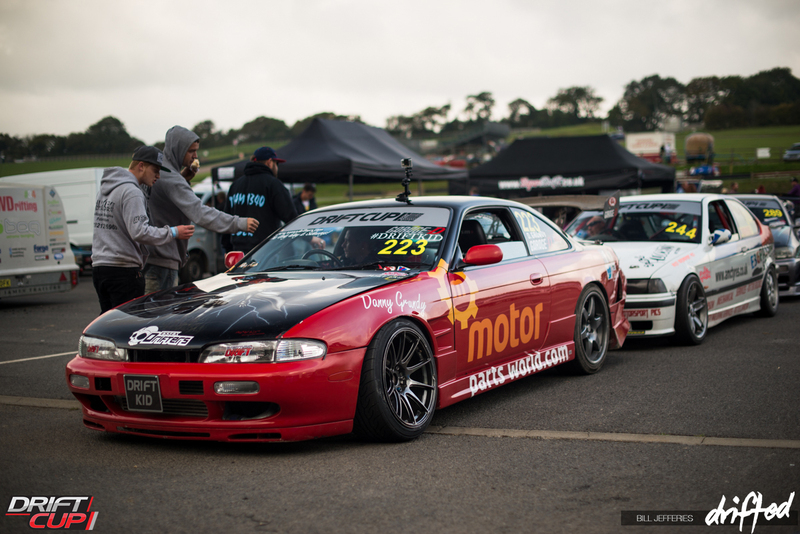 As qualifying got under way, all eyes were on the S14 as it headed out for the first lap. Frustratingly Danny lost grip causing him to spin the car out when initiating into the hairpin leaving him with a zero in his first attempt. It was all down to the second effort, thankfully it was a safe but solid run to ensure that he secured 15th place in qualifying. I went to speak to him in the pits and he was frustrated with himself for the spin, but it was time to put it behind and focus on the real challenge that now lied ahead. With a fresh tyre change and a last minute check-over on the car, it was time to head back out for his Top 32 battle. 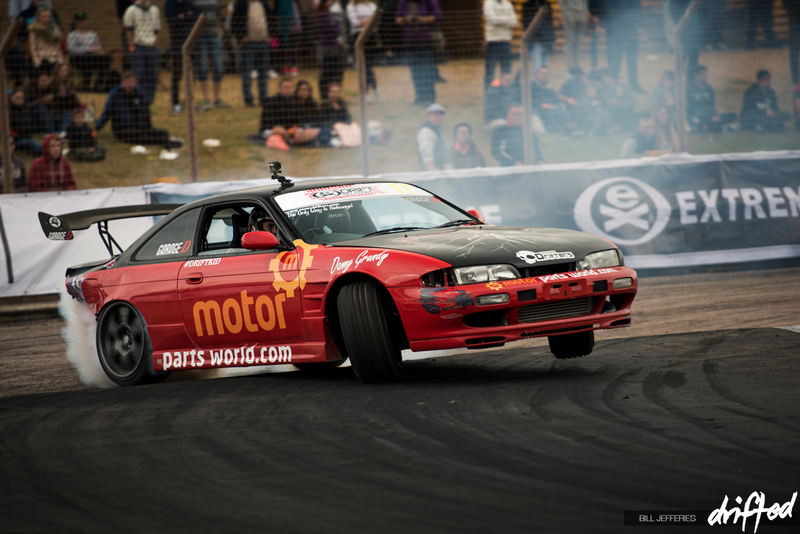 He’d face his points rival Shay Kavanagh of Team Superdrift, with Shay placed one above Danny in 6th, both of the drivers were eager to take the win. 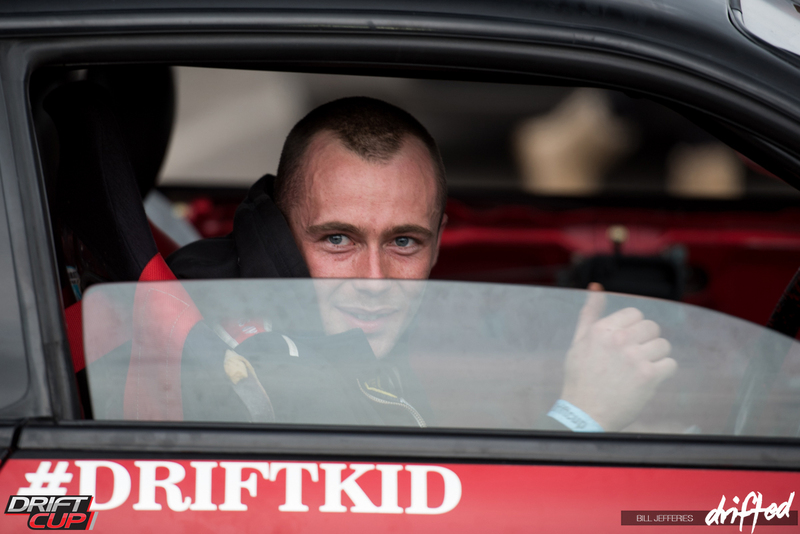 He certainly didn’t disappoint in the battle, meaning he’d progress, to then also knock out eventual winner of the 2015 competition, Andi Halkett. He’d then face Peter Hayden in the Top 8. With Peter chasing, he’d clip the back of Danny’s car during initiation, causing him to spin out. Hayden held his hands up and accepting fault, Danny would eventually progress once more! With the Top 5 season finish now more likely than ever, it would now see Danny meet fellow local King of the Ring driver Bill Eastwood who had been on fantastic form throughout the day. This would be the last chance of a Top 2 finish, but Bill produced another top quality performance, meaning that Danny would no longer progress. There was, however, still a chance to take the win in the battle for third place. 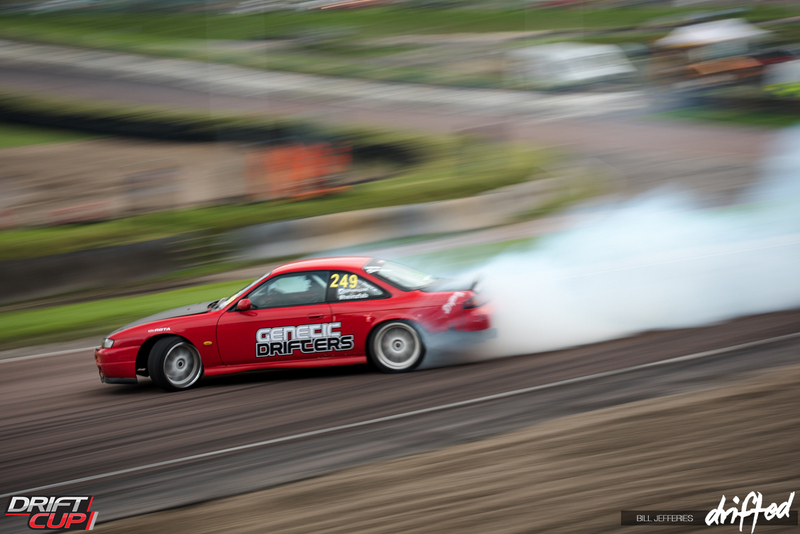 This time he’d come face-to-face with recent Drift Outlaws winner Lee Barker in his ex-BDC R34 Skyline. With a huge amount of power and great driving behind the wheel, Danny would do all he could to grasp 3rd on the podium. Frustratingly, it wouldn’t be enough. Bill Eastwood would eventually go on to take a well-deserved win from the round, Lee Barker would claim 3rd. It was a bittersweet ending to a great day for Danny, despite not being able to add to the silverware on his shelf, it was enough for him to eventually grab 4th place in the final championship standings to claim the Pro-Am BDC license he had been desperately wanting to achieve! Despite having the worst possible start to the season without even managing to qualify in the first round, Danny proved that consistency and determination to learn from mistakes are some of the most important factors of motorsport. 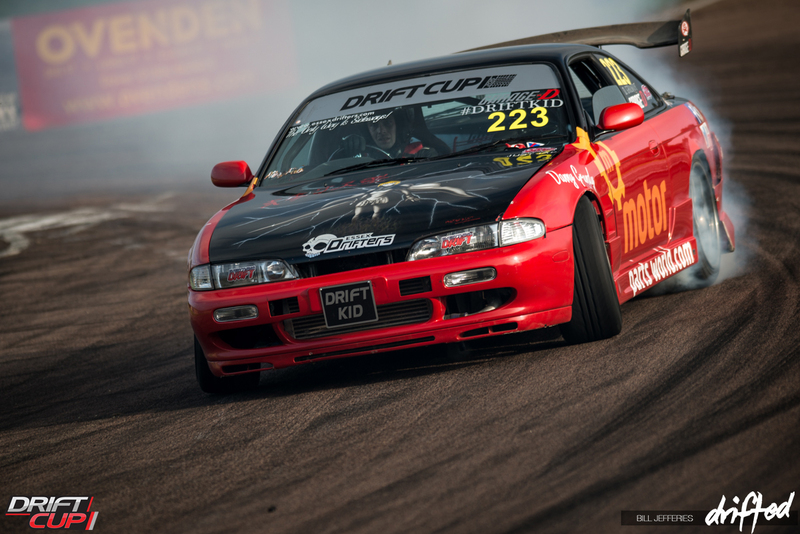 Driftcup is a great competitions which gives hope to a wide variety of drivers and also gives them a chance to hone and perfect their skills before heading to the big stage. With so many drivers progressing into the BDC, it leaves room for more newcomers to prove they have got what it takes next year. 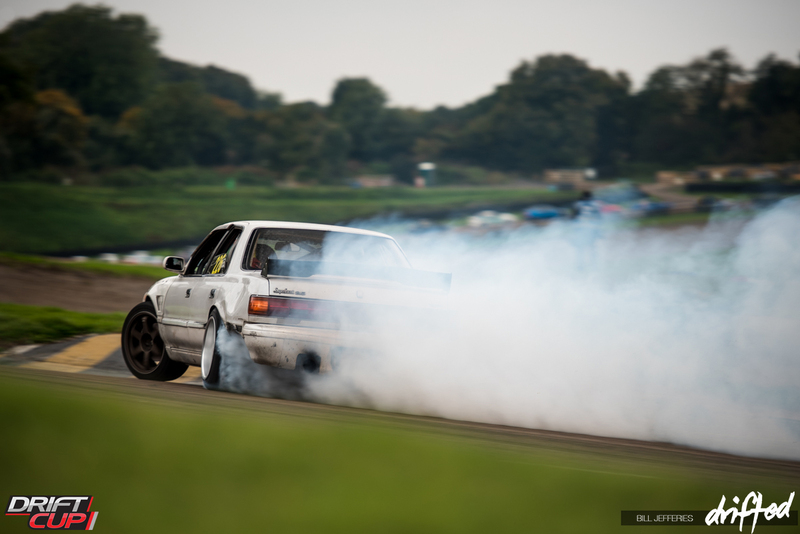 When asked what the highs of his season were, he mentioned that it had to be the battle against James Deane and also gaining his Pro-Am license. Despite not being around all season, I’m glad I got to witness both of these! I’ve had a great time following his progress this year, and I’m sure it won’t be the last you see and hear of him! I’m sure he’ll stick to the wall tapping that he can do with his eyes closed at King of the Ring no matter what, but the chance to prove himself on the big stage will undoubtedly be a huge step in the right direction. Danny would like to thank his sponsors Motor Parts World for their support, with their backing he was able to commit himself to the full 2015 season. He’d also like to thank the team at Garage D for getting the car prepared for each and every race that he attended throughout the year. Best of luck for 2016, Danny!